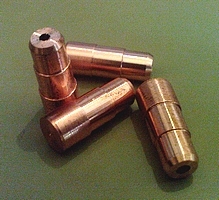 Diameter tolerance: + or - 0.005mm (0.0002"). Length tolerance: + or - 0.10mm (0.004"). 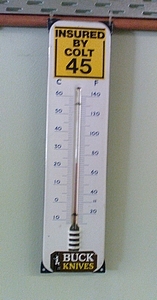 Weight is within 0.25% of the stated weight. Uniformity of ogive curve: - + or - 0.005mm (0.0002"). This is an overall standard that is maintained from batch to batch. All GSC bullets are turned from copper rod, sourced from an ISO9002 qualified foundry and with a certificate of traceability and quality. Each cnc lathe is equipped with a measuring station with a scale, digital micrometer, digital vernier and a production record sheet. Once the design of a bullet is finalised, a card is created reflecting all the dimensions of the bullet, the size standard to which it is made and with the actual cnc program on the back. The machine operator uses this card to ensure that no detail of the bullet ever changes from one batch to the other. Before a run of bullets is started, the operator will zero the digital micrometer on the appropriate size standard for the bullet. If the operator leaves the workstation, the micrometer is checked when the operator returns. 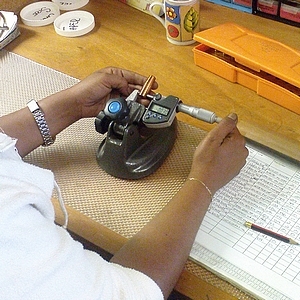 When a run is closed, the micrometer is checked against the standard. This ensures that bullet diameters remain the same from batch to batch, even when batches are months or years apart. This is what we call a triple 9. 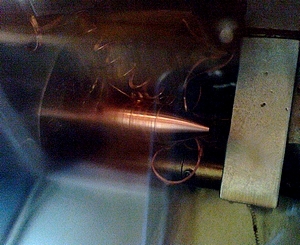 It is a part that is made before a new bullet run is started and every time a cutting tool insert is replaced. It has 5 specific dimensions that are checked to ensure that all the tools are in the correct relationship to each other and correctly adjusted to start the run. Here is the production record that is kept by the operator when bullets are made. This is a sheet from our files. At "A" are the details of the operator, the bullet being made and the batch number. At "B" the operator marks the diameter size of every bullet that comes off the lathe. The gray lines above and below the tick marks are the upper and lower tolerance limits and, on this sheet, the operator adjusted the machine twice to maintain size. At "C" is the roundness and taper check. "D" shows the weight variance and each line is 0.10gr. 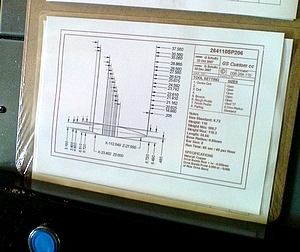 This sheet is for a 640gr bullet and the recorded highs and lows span less than one grain. "E" shows three tick marks for every bullet and these are for visual machining faults, bullet base quality and bullet nose quality. 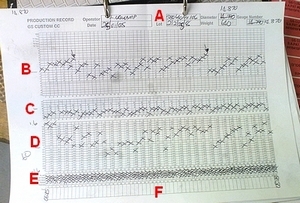 "F" shows the start and end time of the record. Rejects are also recorded in this section. The operator passes the batch to the QA and finishing staff. Here the bullets are washed and every bullet is again checked for the the same parameters as were done by the machine operator - diameter, roundness and taper, weight and machining flaws. This is done to catch any mistakes the operator may have let slip. 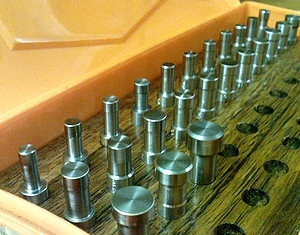 From here the bullets go to finishing and coating and then to packaging. The QA staff will sometimes fail bullets that were passed by the machine operator. 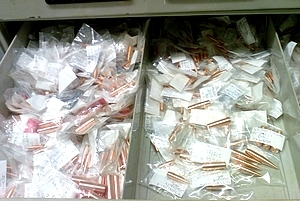 Such bullets are sealed in packets with the batch number they came from and kept for three years. The bottom line is that we check every bullet made against several parameters that are important, not once but twice. We believe we have a system that makes it as fail safe as is possible to ensure that every bullet a customer receives is a precision tool. Our factory is open to visitors at any (reasonable) time and anyone who has been here will verify that they have seen the processes described, in action.